Writers based in the North of England are now able to apply for £40,000 worth of support through the Northern Writers’ Awards 2016. 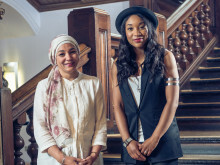 The awards, supported by Northumbria University and Arts Council England, are the country’s leading talent development programme for writers and attracted more than 850 entries from across the region last year. 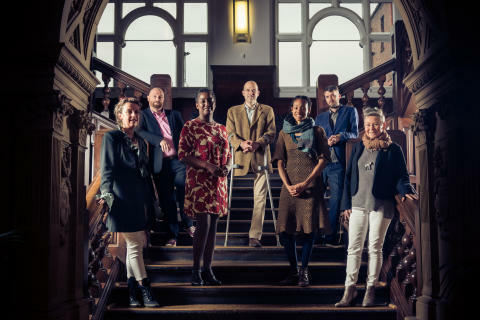 Now in their 16th year, the Northern Writers Awards recognise unpublished work-in-progress and have been given to 197 writers since they were founded in 2000. Earlier this year, Northumbria confirmed a further three years of continued support for the awards as part of the University’s ongoing partnership with founders New Writing North, the writing development agency for the region. In 2016, the Northern Writers Awards will debut a new prize specifically for Northumbria students and alumni. This special award is open to final year students and alumni of the University. Northumbria University Pro Vice-Chancellor (Business and Engagement) Lucy Winskell OBE said: “The Northern Writers’ Awards are a fantastic opportunity for new and emerging writers in the North of England and I’m delighted to see the awards open for submissions once again in their 16th year. 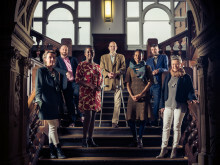 For emerging writers, winning a Northern Writers’ Award can offer a foot up the ladder, including introductions to publishers and agents, support from New Writing North and the possibility of mentoring and other professional development advice. For writers who have already had work published, winning an award can buy time to write or to follow a new artistic direction. Recent notable Northern Writers’ Awards winners include poet Andrew McMillan, whose first collection physical won the Guardian First Book Award 2015 and is shortlisted for the Costa Poetry Award; and short story writer Carys Davies, whose collection The Redemption of Galen Pike won both the Jerwood Fiction Uncovered Prize and the Frank O'Connor International Short Story Award. The 2016 awards will be judged by literary agent Euan Thorneycroft (AM Heath), publishers Hannah Westland (Serpent’s Tail) and Leah Thaxton (Faber & Faber), author Louise O’Neill, poet Patience Agbabi, and journalist Peter Wilby. The awards available for 2016 include the flagship Northern Writers’ Awards, which offer cash prizes of up to £5,000 for writers of prose and poetry, New Fiction Bursaries, which provide new writers an in-depth editorial report from The Literary Consultancy, and the new Northumbria University Student and Alumni Award. 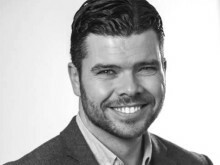 The Channel 4/Northumbria University Writing for Television Award offers three writers attachments to Liverpool-based television production company, Lime Pictures. Two writers will be awarded the opportunity to work with staff on Hollyoaks, while – in a brand new award – a third writer will be attached to Lime Pictures’ children’s television drama department. All three writers will receive mentoring from experienced producers and a bursary worth £3,000. At the end of the development period, writers may have the opportunity to undertake a paid commission for an episode of a Lime Pictures production. 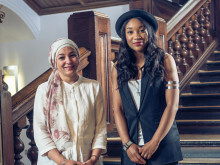 Nuzhat Ali and Sharma Walfall have won the first Channel 4 and Northumbria University Writing for Television Award at this year’s Northern Writers’ Awards ceremony. A new scheme was launched today to identify raw and diverse television talent from the north of England. Writers from across the North came together at Northumbria University last night as the winners of the Northern Writers’ Awards 2015 were revealed. 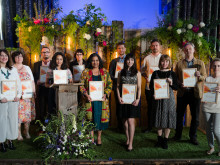 ​A record 30 writers have been recognised at this year’s Northern Writers’ Awards – including the inaugural winner of the Northumbria University Student and Alumni Award. 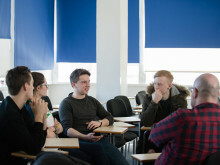 ​Northumbria’s final year students and alumni have the chance to show their literary promise this month. Writers from across the North of England are invited to submit their work in progress to the Northern Writers’ Awards 2017, supported by Northumbria University and Arts Council England. ​Writers based in the North of England have one week left to enter the Northern Writers’ Awards 2016. A champion for Northern voices and underrepresented groups, a key element in the North East creative economy, and a talent pipeline for the UK publishing industry. This is the verdict of Professor Katy Shaw’s new research into the value and impact of the Northern Writers Awards (NWAs) – the UK’s largest literary awards of their kind in the country.